This is a portrait of Private Cecil Theobald Coate, service number 44447, of the 24th Reinforcements, NZEF. Cecil was born in Wellington on 15 December 1889. As a young man he was a keen cricket and soccer player for the Karori clubs, and worked as a Clerk for the Wellington Harbour Board. He married Nora Maud Furness on 15 March 1916. He had volunteered for military service in 1915, but was rejected for having varicose veins. In December 1916, after conscription was introduced, his name was drawn in the second ballot, and he attested for service on 28 December. He was posted to train with the 25th Reinforcements on 8 January 1917. On 2 February he was transferred to the 24th Reinforcements. Cecil sailed from Wellington on 5 April 1917. Cecil probably had this portrait taken shortly before sailing. In England, he underwent further training at Sling Camp with the 4th Reserve Battalion, Auckland-Wellington Regiment from 11 June to 6 July, when he was sent to France. On 24 July he joined the 7th Company of the 3rd Battalion, Wellington Infantry Regiment. 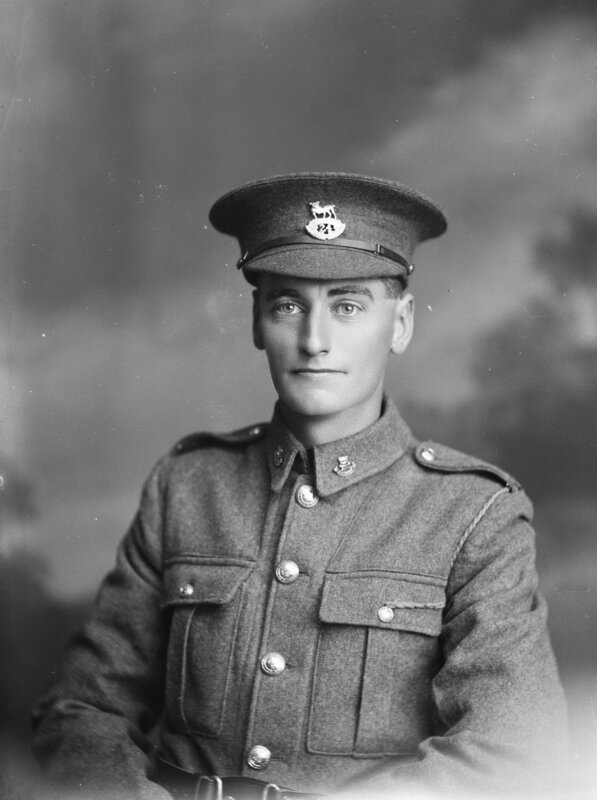 On 23 December Cecil was posted to the 3rd Reserve Battalion of the Wellington Infantry Regiment and except for one week's leave in September, served with them until he embarked for New Zealand on 7 February 1919. Cecil lived in Wellington for the rest of his life where continued to work for the Harbour Board. He died on the 14 November 1950 aged 60.